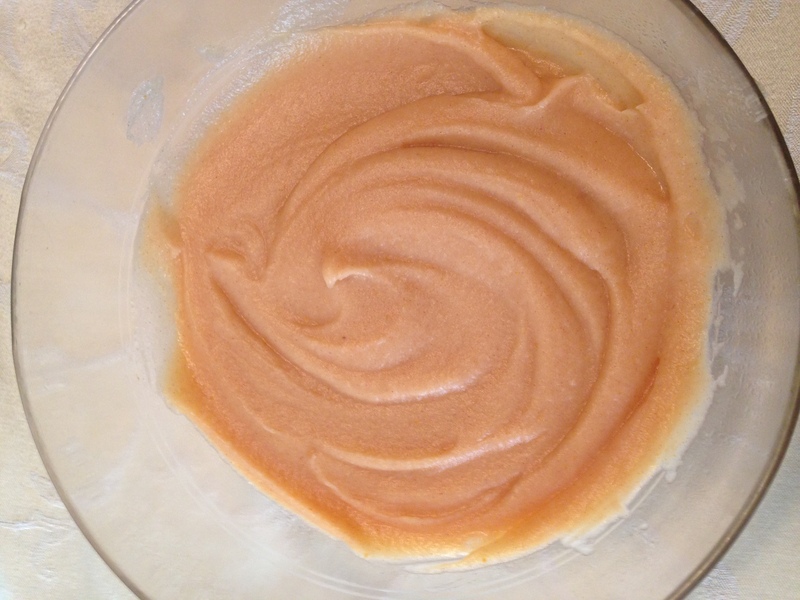 There are quite a few all natural apple sauce options out there, even some unsweetened ones, so I am not suggesting that a busy mom make homemade apple sauce very often. 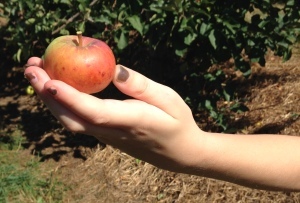 However, if you have a bunch of apples from apple picking, for instance, as I did this week, you need to get creative. 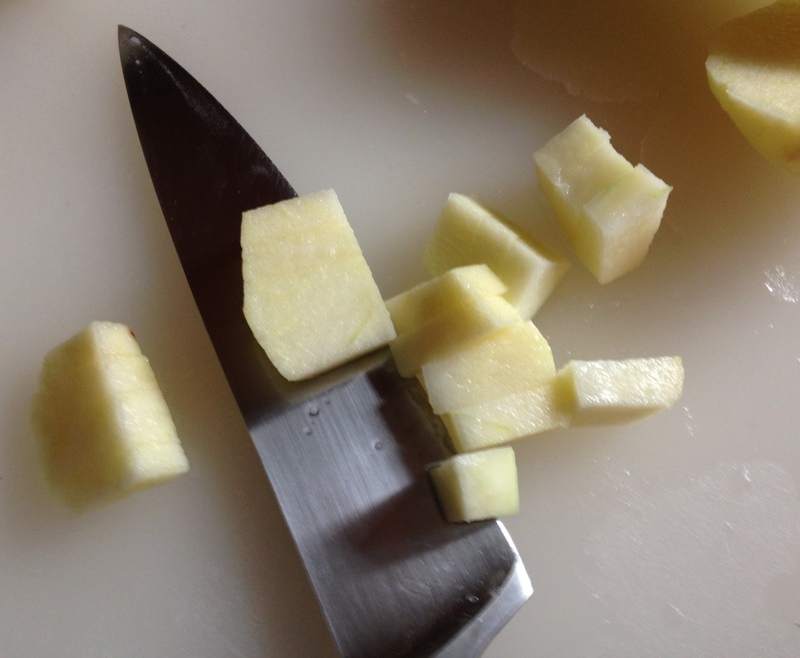 It only took 10 minutes of peeling and cutting, 20 minutes of cooking and there it was – homemade applesauce! This recipe works great and teaches our kids how food can go from the orchard to the table in many forms. When I served this at the table both sons and my husband loved it immediately! Score! My daughter wasn’t sure about the lumps, even after I blitzed it with the immersion blender. But she is a very tough critic these days so I am not letting it get me down! Once all of the fruit is ready to go, zest the whole orange, and juice half an orange (save the other half to serve to the crazy kid who turns down homemade applesauce). 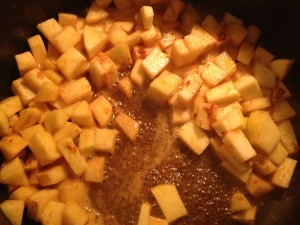 Pour the juice and the zest into a nice sized pan that has a lid, add the cinnamon, nutmeg, sugar, salt and the butter. Cook on medium until the butter is melted, stirring occasionally. Add in your fruit and stir. Cook on medium heat with a lid on for 20 minutes. Use an immersion blender to take out the lumps (unless you like lumps) then serve hot or stick it in the fridge for later. Update: I made the applesauce again for the apple sauce cake and this time I put it into a blender and it came out so smooth!